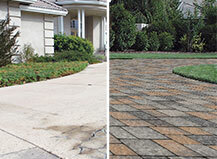 Preview how your outdoor space will look before you decide! 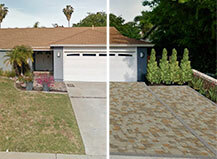 Explore the endless remodel possibilities available for your home with our exclusive state-of-the-art AR Outdoor Imager! During your free design consultation, our team of expert designers will start by uncovering which outdoor products suit your lifestyle best, and will take inventory of your property for vital considerations such as: architectural style, onsite and offsite viewpoints, grading, drainage and more. 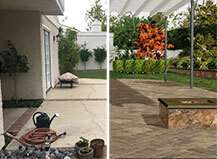 Then our design team will add images of your existing outdoor space into our unique OutdoorImager, and within minutes you'll be able to see the numerous customized project options specifically designed for your home and outdoor lifestyle. 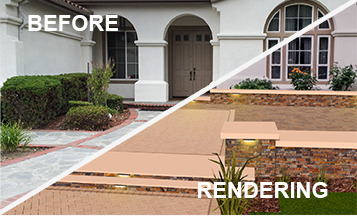 Being able to preview paving stones, artificial turf, fire elements, water features, BBQ islands and even pergolas in your own outdoor space will help you make a wise and informed decision about the products and paver styles that are best suited for your home. Fill out the consultation form below to receive a free in-home consultation and digital rendering.